When homeowners think about exterior home improvements there are several elements they usually consider. They might opt for a stylish new front door, repaint the walls or have a new driveway laid. 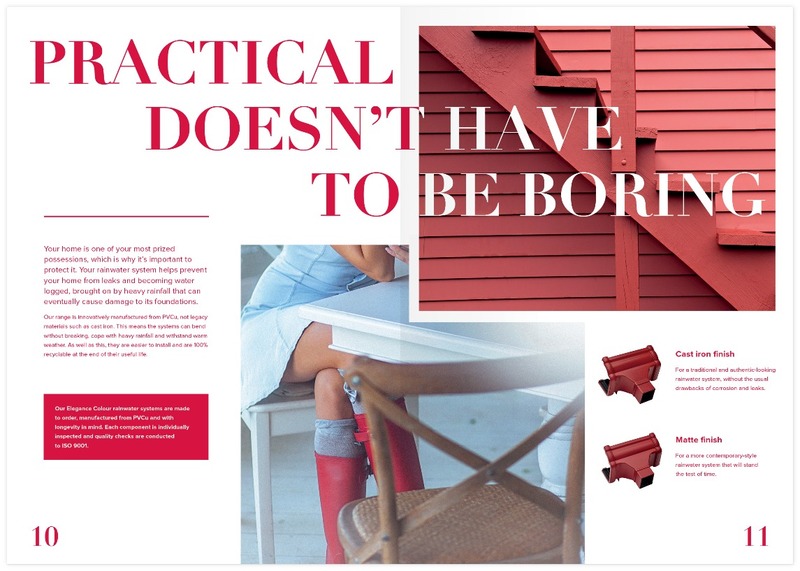 But there is one defining characteristic usually overlooked –gutters and downpipes. 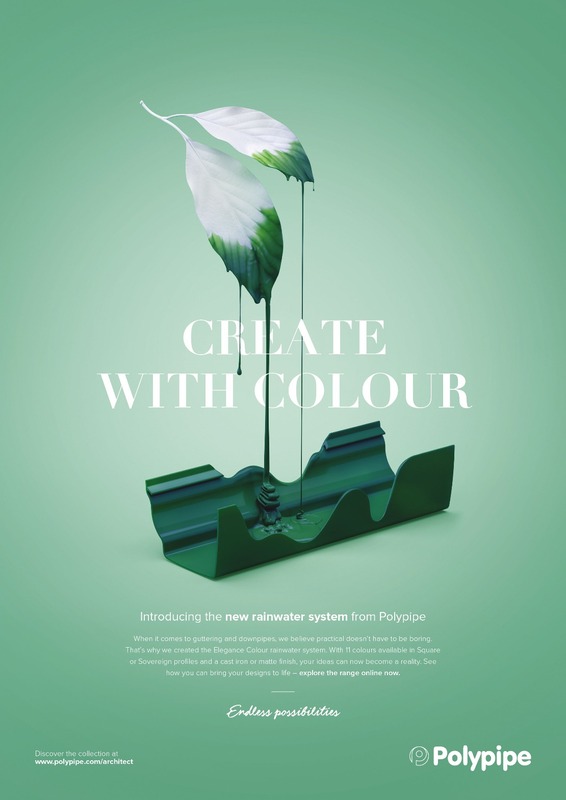 In recognition of this, Polypipe Building Products launched its Elegance Colour range of rainwater systems, a 13-colour product line-up which provided consumers with a new way of personalising their homes. To raise awareness of the range we needed to speak directly to homeowners and demonstrate the design possibilities it affords. While traditional gutters and downpipes are available in three colours: black, white, or brown, we wanted to highlight the diverse range of finishes available in Polypipe’s Elegance Colour range. 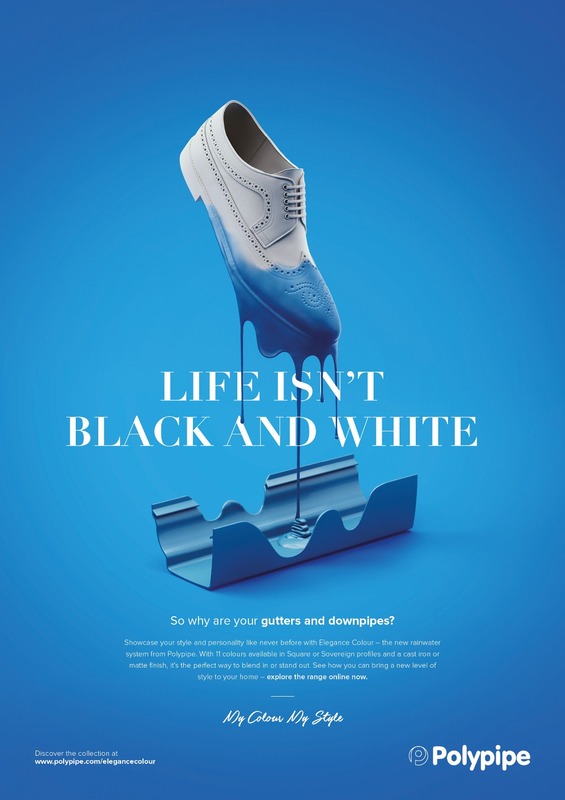 Using CGI, we created images which would be used in print, online and social media advertising, showing the colour from vibrant, everyday items flowing onto the products – creating a striking appearance. The designs also featured on exhibition displays and a dedicated product website, enabling potential buyers to explore the range and view key information. Finally, we partnered with Ideal Homes and Grand Designs magazines to host a spectacular prize giveaway, with one lucky winner receiving an Elegance Colour system to be installed at their home. 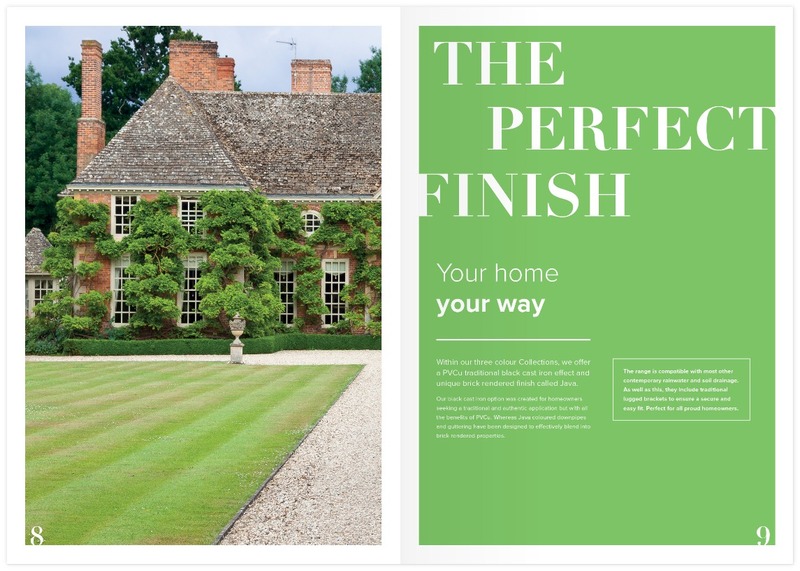 In total, more than 270,000 potential customers were reached via print and digital media coverage of the campaign, while the Ideal Homes competition alone reached 344,835 people. 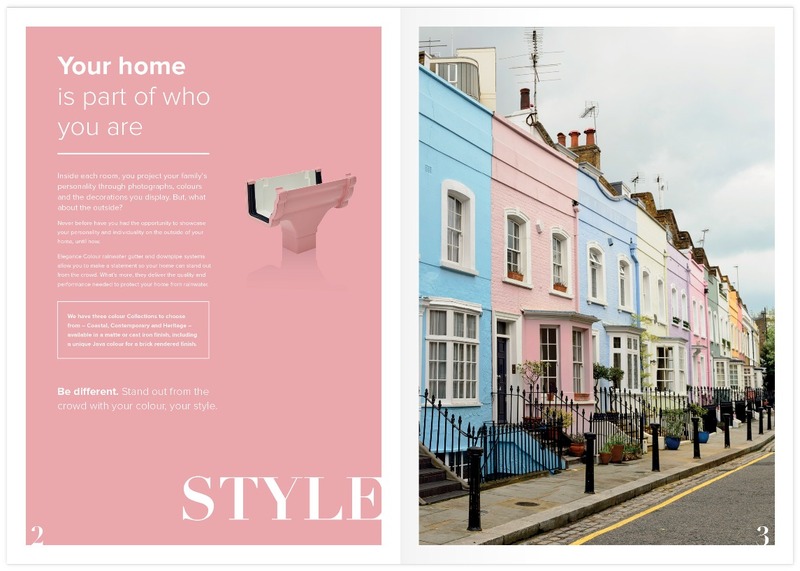 Overall, the results increased awareness of Polypipe’s consumer offering – as well as creating more colourful homes throughout the UK.